Visiting Nurse Association of Ohio views clients and patients as more than case numbers and diagnoses. 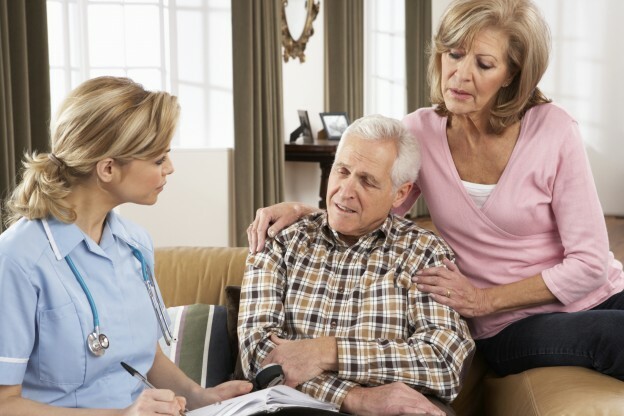 When a new patient is admitted to VNA of Ohio for home healthcare, a team is assembled based on that patient’s needs. The team may include a registered home healthcare nurse, a physical therapist, an occupational therapist, a social worker and home health aides. Phyllis Cash, VNA of Ohio’s Executive Director for Home Healthcare, said staff members are assigned to a team based on the expertise needed for the patient. Admitting nurses visit the patients and assess them in their home environment. The plan of care and the chosen team is based on the findings of that assessment. “They may need mental health services, rehab, medical-surgical care, special care or hospice,” Cash said. Most often, patients are referred to VNA of Ohio for skilled nursing care following a hospitalization. But, Cash said, when admitting nurses perform their assessments, they often find that patients are candidates for other services. VNA of Ohio’s private-duty Home Assist™ division takes a personalized approach to matching home care professionals with clients. Home Assist clients get help with needs ranging from occasional visits for companionship and assistance with daily living tasks to full-time skilled nursing care. Because these are self-pay services, there is no time limit, and they can continue for years. Cash said VNA of Ohio works to ensure that clients are paired with the home care specialists with whom they are most comfortable. Once those pairings are established, they are maintained. As a result, clients tend to build strong, close relationships with their care providers, she said. Learn more about VNA of Ohio services, or call us today at 1-877-698-6264.